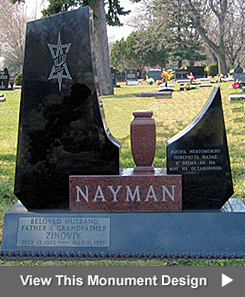 For four generations, families have trusted City Monument Company to create timeless tributes, custom granite and bronze memorials that are as unique as the people they honor. 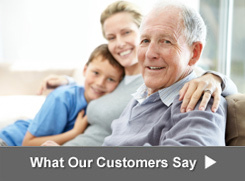 We take the time to know each customer and listen to your loved one's life story. Then, we craft a memorial that meets your special needs and transcends the ordinary. That's why our memorials have exceeded expectations for over 60 years. 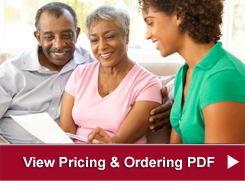 At City Monument Company, experience, artistry, and trust define who we are. Our design staff can help you express individuality through distinctive products and unlimited design possibilities. Our experienced craftsmen then create your product with care in our manufacturing plant. Because we select only the finest materials and guarantee the quality of our work, City Monument Company memorials offer superior value. The Lafresnaye family members and employees have delivered exceptional products since the 1940's, making us an established, trusted monument company. We also offer special products and services for various industries and community projects. The City Monument Company has its roots in Quebec, Canada and was established by the Lafresnaye brothers in the 1930’s. In the 1940’s,Leopold Lafresnaye, the father of Serge Lafresnaye and France Picard (the current managers of the company,) joined his father in the business. Like many in the monument business at that time, France and Serge lived right next door to the shop and remember how their front yard doubled as the monument display area. Their father would work in the shop carving headstones during the day and then would walk to the cemetery to engrave final dates on existing grave markers until dark. Leopold Lafresnaye was a talented artist. He received many commissions from local churches to design their altars and statues, cementing his reputation as a skilled craftsman. The business continued to prosper but Leopold found that the potential for growth in the monument business in Quebec was limited by the harsh weather. He routinely had to close from December – April as no installations could be performed in the snow and freezing cold temperatures. So, in 1960, Leopold sold the business in Quebec to a longtime employee, packed up his family and moved to Miami, Florida. It was difficult to leave his established business behind at this stage in his career but he believed there was greater opportunity in south Florida. When the Lafesnaye family arrived in Miami, Leopold immediately set about establishing himself in the monument business. It was, after all, the only trade he knew. It 1960, City Memorial Arts was born. Leopold worked hard to get the fledgling business off the ground and in the 1970’s, his son, Serge, joined him at the company. Serge was the 3rd generation of the Lafresnaye family to work in the monument business. Like his father, Serge worked in all areas of the business and learned the trade inside and out. In the 1980’s, his sister, France, joined him at the company. Along the way the name of the business was changed to City Monument Company. Today, the business is still run and managed by the brother and sister team of Serge and France who have proudly been serving the south Florida and Caribbean communities for 40 years. You will no doubt see one or both of them when you visit the store at 8483 NW 64th Street in Miami. Serge Lafresnaye is a member of the Monument Builders of North America (MBNA). 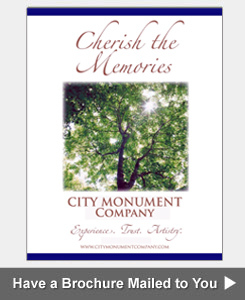 Click here to view the City Monument Company profile on the MBNA site.